Captain Greg Ball is a U.S.C.G. Master Captain, Lic. #3358157 Member of the American Professional Captains Association. Capt. Greg has over 30 years’ experience fishing the Gulf waters and Galveston Bay. He is an easy going, Christian family man with family values and loves having fun. Kids are welcome and encouraged on his charters. He will do everything in his power to make your trip with Galveston charter fishing ENJOYABLE, PRODUCTIVE and ALWAYS THRILLING. If you have a special need or have a special request, please give us a call at (409) 988.8888 or send us an email. We specialize in catering to our customers’ needs. Captain Taylor Borel is a U.S.C.G. Master Captain, Lic. # 3392469 Member of the American Professional Captains Association. Capt. Taylor has spent his entire life fishing the Gulf of Mexico and Galveston Bay. He is easy going, fun to be around and always ready to fish. He loves fishing for big Redfish, Drum, Shark, Stingray and Flounder…. BUT always ready to go offshore for the thrill of catching Kingfish, Dorado, Cobia, Red Snapper, Grouper, Amberjack, Wahoo, Big Sharks or anything else he might find like a Sailfish or others. Captain Gunnar Valdez is a U.S.C.G. Master Captain, Lic. # 4519211 Member of the American Professional Captains Association. Capt. Gunnar is a Graduate of Texas A&M Galveston with a degree in Maritime Administration. He has been fishing his entire life and worked his way through college as a deckhand. After graduating Capt. Gunnar decided he wanted to pursue a career in fishing and so he went back to school and attained his 100-ton Master Coast Guard License. Captain Gunnar loves what he does, and he does it well! He loves and is very good with kids on his boat. 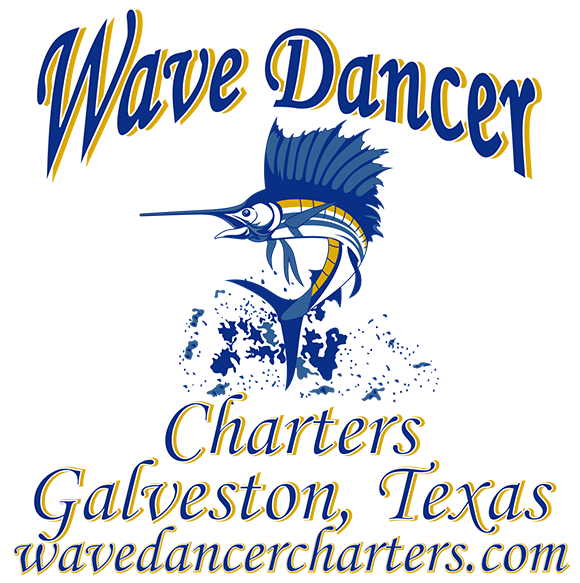 Captain Gunnar has worked with us for 4 seasons now and we are honored that he is part of the Wave Dancer team!